Welcome to the Cruise & Travel group! 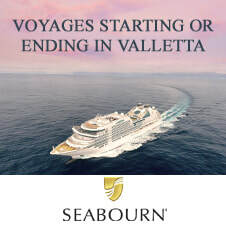 We are Malta agents for Club Med, Princess Cruises, Holland America Line, Seabourn, Cunard Line, P&O Cruises, Silversea and Luftner River Cruises. Please browse our website for all our latest offers and don't forget to LIKE us on Facebook!